Securities Fraud Attorneys - Call Us Now! Mr. Thomas graduated from the University of Florida in 1984 and received his Juris Doctorate from the University of Florida College of Law in December 1987. He became a member of the California Bar in 1988. With over 1,500 cases and 26 years of experience in every type of investment case Mr. Thomas has a proven track record of success. 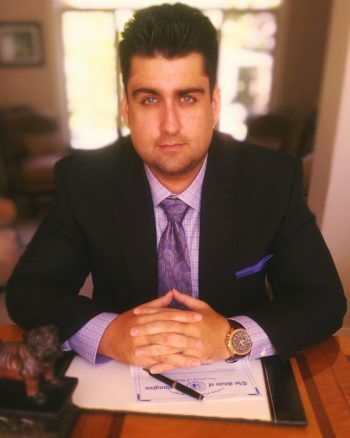 As an advocate for investors Mr. Thomas utilizes his extensive experience and knowledge of the securities and commodities markets as a former licensed Series 7 stockbroker and Series 3 commodities broker with Shearson Lehman Brothers. His professional memberships include the Public Investors Arbitration Bar Association from 1992-2017, American Bar Association, State Bar of California, Consumer Attorneys of San Diego, San Diego County Bar Association, Orange County Bar Association and Association of Business Trial Lawyers. 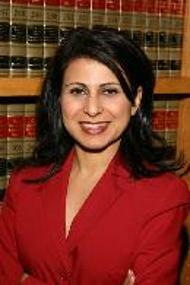 Neda Ataie received her bachelor's degree in Finance and Business Administration from San Diego State University in 1992. She obtained her J.D. in 1996 from Thomas Jefferson School of Law. She acquired extensive litigation experience as a member of the California Attorney General's Office in both the Correctional Law Department and Appellate division. Ms. Ataie gained additional litigation experience with the San Diego District Attorney's Office as well as working in private practice engaged in family law, immigration, bankruptcy and securities law. She has focused her practice for the last 15 years exclusively to securities industry disputes where she primarily represents brokerage customers at FINRA. Her practice also focuses on reviewing and negotiating broker employment contracts. Ms. Ataie's professional memberships include the American Bar Association, State Bar of California and the Los Angeles County Bar Association. She is an active member in the Persian community and speaks fluent Farsi.